If you're looking for things to do at a slumber party, Colortime Crafts and Markers offers both the craft ideas and the materials to make your next sleepover a big success! 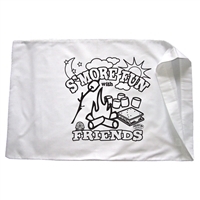 We provide the poly/cotton blend pillowcases and the colorful, non-toxic fabric markers -- and you provide the energetic, fun-loving kids! 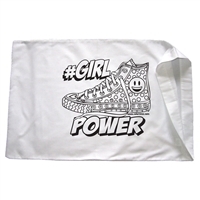 If you’re searching the Internet for creative things to do at a slumber party, our Girls-themed pillowcases provide the ingredients for a terrific slumber party craft.